Oh, how nice it is to have Michael Chiarello back in Napa Valley! Last year, he opened a new restaurant in Yountville called Bottega that reminds old stalwarts of his legendary tenure at Tra Vigne more than a decade ago (it still survives but is a shadow of its former self). Who does not remember his soulful rabbit pasta? My second visit to Bottega was with the same friends with whom I frequented the long-lamented Tra Vigne, I felt I had run into an old friend. 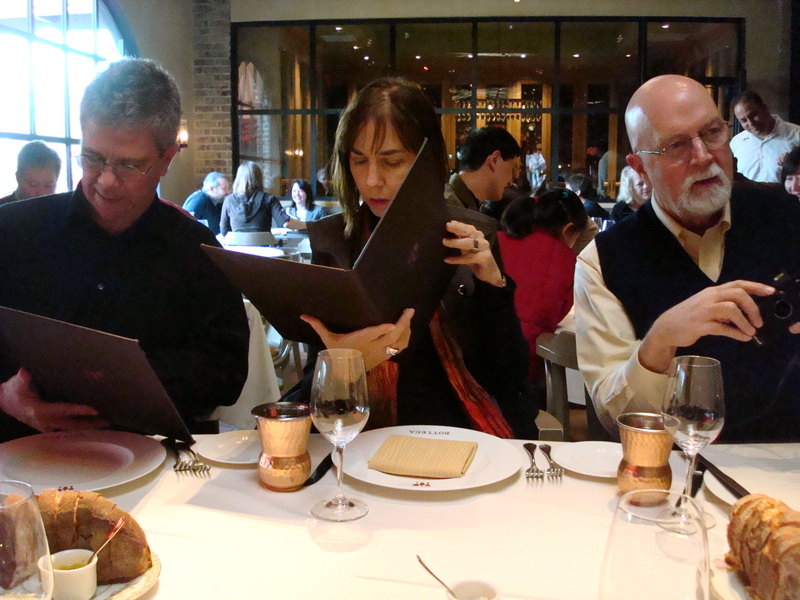 The five of us at table held the menus like hymnals, each of us looking for our favorite psalms. The offerings did not disappoint. Nor did the service. Bottega’s food is rich, luscious, and — as Patrick expressed with feeling — voluptuous. Deep sauces, complex spices, perfect pasta, all served on warmed stoneware ceramic plates. For dessert, two small chocolate soufflés oozed a river of dark lava from their middle. It’s nice to be excited again about a restaurant in Napa.